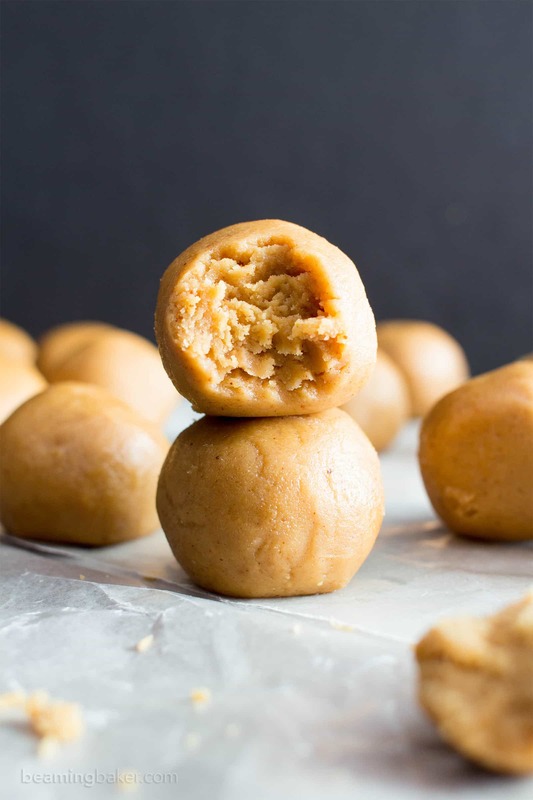 3 Ingredient Peanut Butter No Bake Energy Bites Recipe (V, GF): a one bowl recipe for easy gluten-free no bake energy bites packed with peanut butter flavor! Vegan, Gluten-Free, Dairy-Free. Only 98 calories per bite! Make more time for fun. That’s tentatively my 1st new year’s resolution for the year. Btw, do you write your resolutions in ranking of importance order, or just jot them down as they come to mind? I’m sort of in the “ranking of importance” boat and it totally makes me overthink the whole business of it, even though one of my resolutions, ironically, is not to overthink things so much. Update: as widely requested, I’ve finally made a chocolate version of this super tasty recipe! 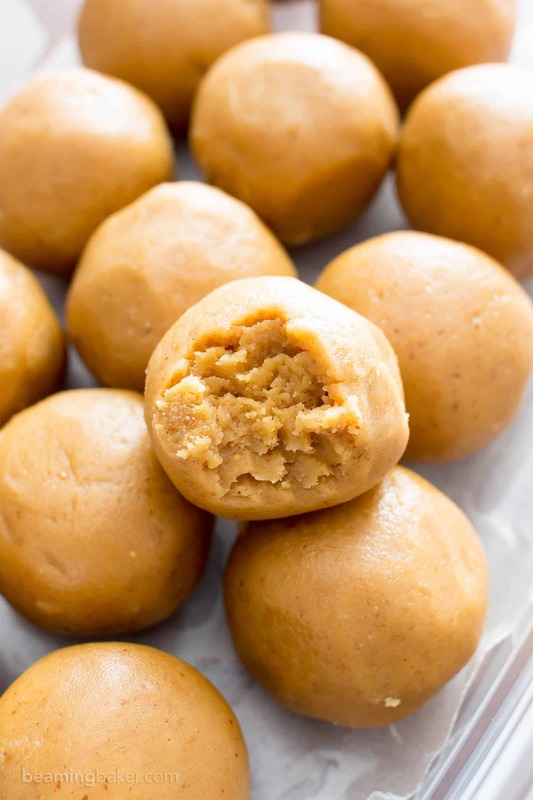 Try it here: → 4 Ingredient Chocolate Peanut Butter No Bake Energy Bites Recipe. Ah… the irony. So let’s take a crack at a non-ranked list to start. 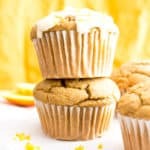 One item on my list, which I already told you about in my Easy Gluten Free Dark Chocolate Muffins recipe, was “to share more quick breads, muffins, and cupcake recipes with you.” Done and done! But not… because there’s more to come! Share even easier recipes with you. Share more complex recipes with you. Stop being so gosh darn unintentionally ironic all the time. Look up the definition of irony and make sure I’m using it right. So let’s go with #3, for the sake of progress and simplifying things. 🙂 A while back, I shared my gluten free vegan chocolate peanut butter truffles with you. They are a bit of a cult fan fave (the people who love it, really love it, but many folks just don’t know about it). The thing I absolutely loved about that recipe was how simple the peanut butter bite part of the truffle was. 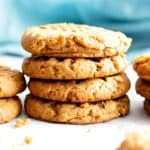 Back then, I fretted about whether the peanut butter bite element of that recipe wasn’t sweet enough, or if it just tasted like an energy bite. 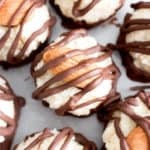 Since then, folks have told me it’s one of their favorite desserts… but, I still had it stuck in my head that the peanut butter energy bite hiding in that truffle recipe would have to have its day in the sun. Guess what? Today is that day!!! Aw, yeah! 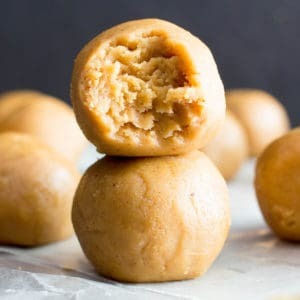 Folks, this 3 Ingredient Peanut Butter No Bake Energy Bites Recipe could not be easier. It’s just 3 simple ingredients—made delightfully with the ever-popular coconut flour. 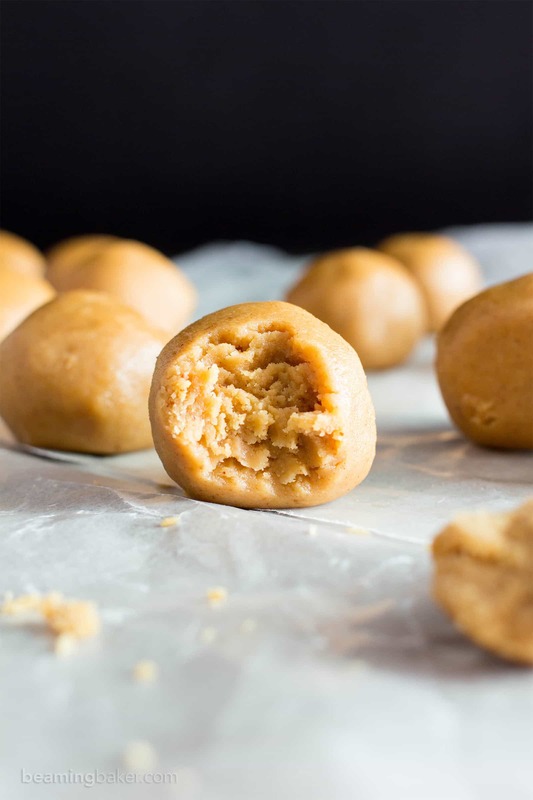 It’s as easy as throwing those 3 ingredients in: peanut butter, maple syrup, and coconut flour. Stirring until thickened (so that the delicious coconut flour has time to absorb and become one with the PB and maple syrup). Chill for 20 minutes, until firm. Then, scooping and rolling! You’d think as a food blogger, I’m humming, happily skipping around, 24/7 hugging my whisks and gigantor jars of peanut butter. While this may or may not be true most of the time, there are times when I’m just tired. I literally get to points when I just cannot be in the kitchen anymore. one of the tastiest and easiest ways to get your healthy vegan snack on! What’s your favorite type of healthy snack? 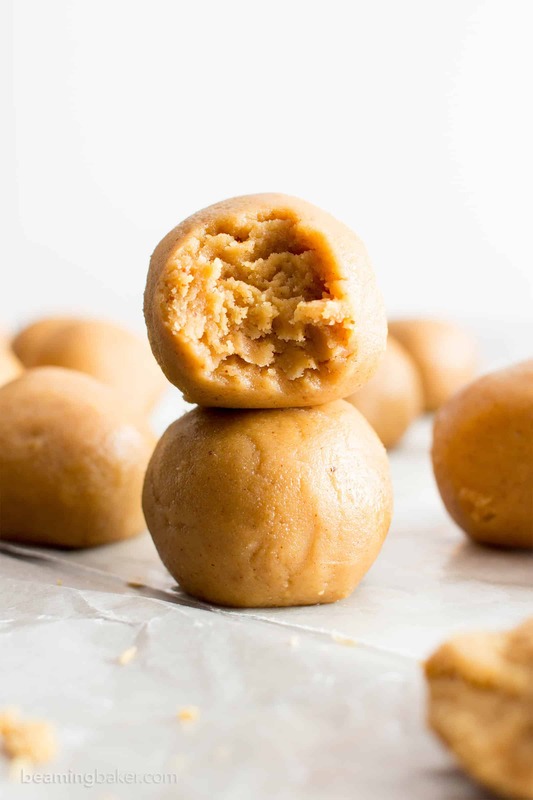 3 Ingredient Peanut Butter No Bake Energy Bites Recipe (V, GF): a one bowl recipe for easy gluten-free no bake energy bites packed with peanut butter flavor! Vegan, Gluten-Free, Dairy-Free. Line a baking sheet with parchment or wax paper. Clear some space in the freezer for this sheet. Set aside at room temperature. In a medium bowl, add peanut butter, maple syrup, and coconut flour. Whisk as long as you can. When the mixture gets harder to stir, use a rubber spatula to fold until well incorporated. Fold until thickened. Cover bowl and freeze for 15-20 minutes. Remove from freezer. 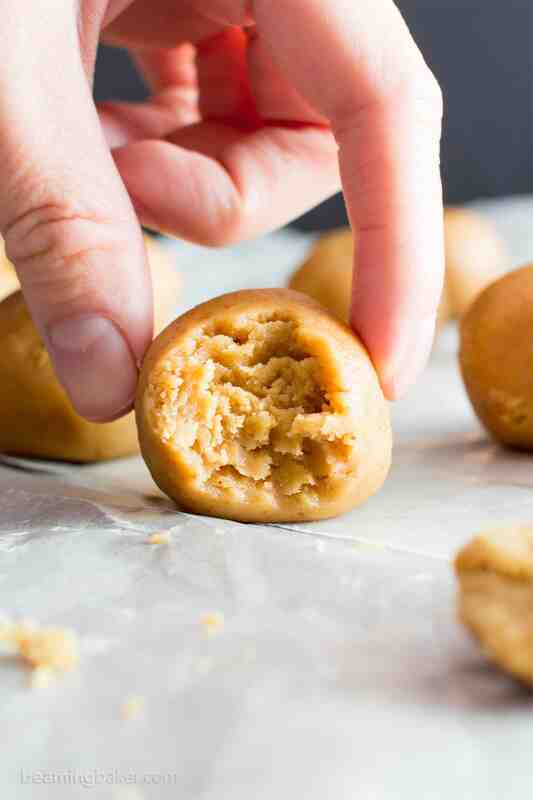 Using a cookie scoop, scoop and drop peanut butter balls onto the prepared baking sheet, spaced evenly apart. Here are the 1-tablespoon and 2-tablespoon cookie scoops I use. Transfer back to the freezer to chill for 20-30 minutes, until somewhat firm. * Enjoy! Storing instructions below. 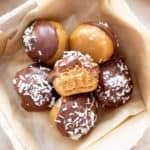 Try the chocolate version here: 4 Ingredient Chocolate Peanut Butter No Bake Energy Bites. - Adapted from my Gluten Free Vegan Chocolate Peanut Butter Truffles. 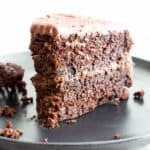 - *Bites will become firmer and less moist the next day. - Store in an airtight container at room temperature or in the refrigerator for 1-2 weeks. - Freezing instructions: store in an airtight container in the freezer for 1-2 months. Very firm, but soft enough to eat straight out of the freezer. 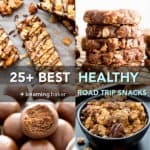 - Nutrition Info: is an estimate based on 21 total bites. 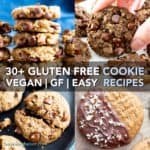 - More irresistible peanut butter recipes: no bake chocolate peanut butter bars, no bake peanut butter coconut energy bites, peanut butter chocolate chip oatmeal cookies. Hi Olivia, so fun to see your comments as you read through recipes! 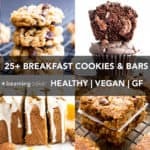 😉 If you want to add in oats, try this recipe instead: https://beamingbaker.com/4-ingredient-no-bake-peanut-butter-coconut-energy-bites-gluten-free-vegan-dairy-free-one-bowl/ Enjoy! I’m disappointed in it because maple syrup has a lot of carbs in it . But tasty . Looks and sounds delicious and so easy to make! Will definitely try this soon! these sound awesome! i’m gonna make them for my daughter’s team for today’s track meet, but will have to substitute regular non-enriched wheat flour for the coconut flour as I can not eat coconut. I’m gonna add some ground flax seed as well and maybe some chopped chocolate / carob chunks!!! It turned out great. Added the wheat flour in the same amount as the recipe called for then added the ground flaxseed approx 1-2 TBSP to help thicken the dough till it was the right consistency. Also added carob chunks. Everyone loved them. Thanks!!! Do you think I could substitute honey or agave nectar for the syrup? Hi Jen, yep, honey should work just fine! These are so great for my kids!! I add chia seeds and mini chocolate chips, too. Thanks for the recipe. Fantastic Beth! Love the add-ins. ???? So happy you kidddos enjoy them! New follower, and fellow baker. 🙂 very happy to have found your website! 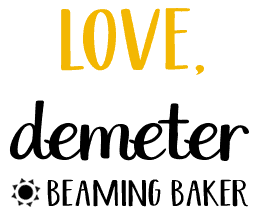 Very interested in transitioning to the healthier world of baking. Has always been a passion. Was wondering if this recipe in particular is dog-friendly?? Thank you! So happy to have you Jordan! ☺️ There are so many wonderful treats to be found. Hm, I’m not quite sure if these are dog friendly. Hope this helps! 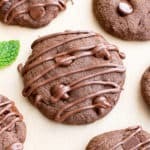 Could I use all purpose or self rising flour? Hi Rachael, unfortunately, it’s not safe to eat raw all purpose flour. 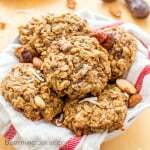 You can try oat flour, which can be eaten raw. You’d just need to increase the amount of flour by a few tablespoons–till you get the preferred texture. Good luck! Hi! I’m a lifetime lover of peanut butter but have discovered that peanuts and peanut butter cause are either a food sensitivity or an allergy. Not surprising since my son has been severely allergic since birth. I’m having to learn to live without my love! Could I substitute almond butter? Will it be runny? Do I need to add more of something to make it firmer? I guess I could experiment but I thought you might know right off. Thanks!